It’s true that every new venture wants a memorable logo for his business, but it’s never easy to find the right logo for company. So, we decide to take you to one of the picked best logo solutions and hope the tip in this article will ease your logo creation with a satisfied result. Give a try to designEvo and see the power of a free logo maker with multiple logo design ideas. How to DIY A Beautiful Logo for Your Business? Demonstrably, you can pick up Photoshop and DIY a logo from scratch just as a designer usually does. 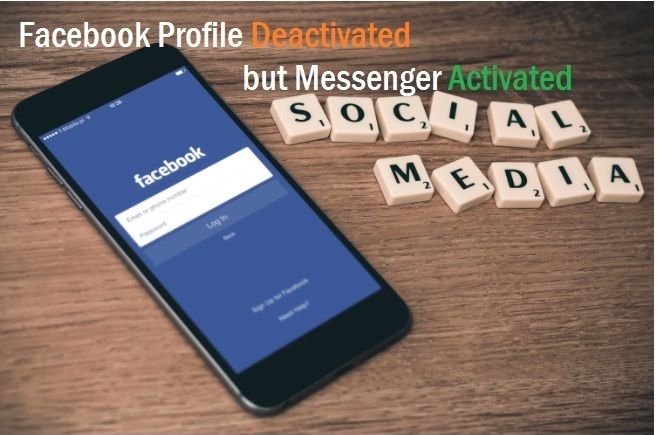 However, for many more startup owners, this is not a feasible path to follow. 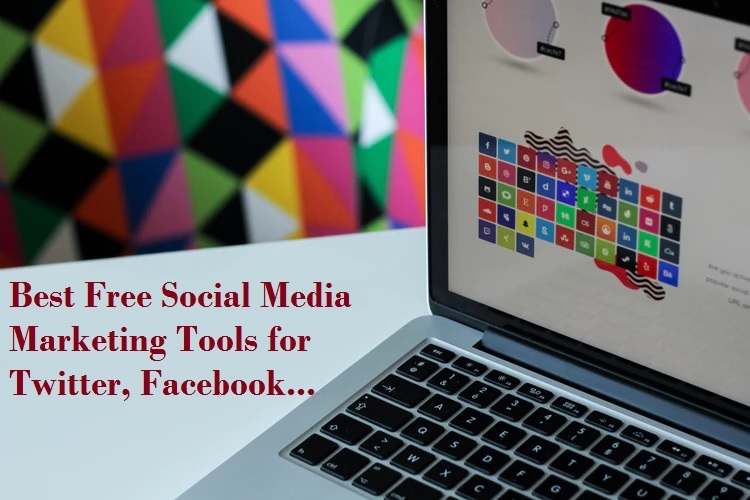 When it occurs to you, consider the online logo creators, they will greatly simplify your works without requiring you to know the essential logo designing tips. Even having zero design skills, with DesignEvo, you can still work out a logo in a matter of minutes. Try also to Create your free logo for business and blog with Graphic Design Free tools. 1. Search Logo Inspirations with A Keyword. 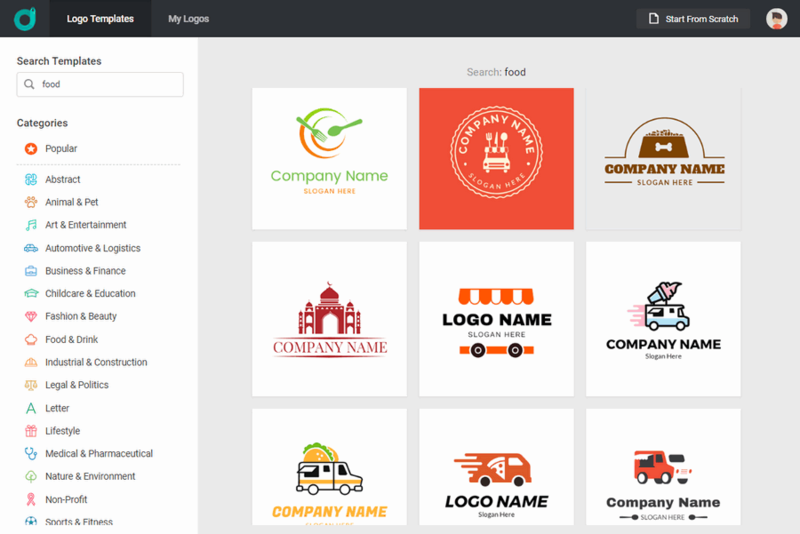 It can be very easy to create a unique branding emblem symbol for your company using DesignEvo, which has dozens of pre-made logo templates, shapes, curved texts as the options. The 7000+ professionally designed logo templates give you the freedom to run a search for a certain topic, for example, “Technology”, “Travel”, “Food”, “Beer” and etc. 2. 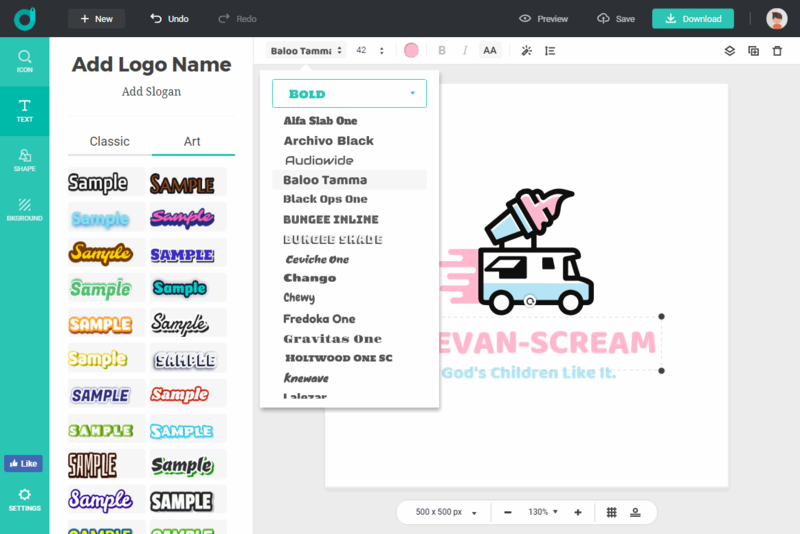 Customize A Logo Template to Your Own Style. Instill your company spirit and culture into the logo design. After selecting a logo template as the starting point, you may want to change current font to another that is more proper for your business. Or you can change the color to create visual contrast just by selecting an element and changing its branding color. Take advantage of DesignEvo ICON function, you will then be able to find something iconic to your logo design. Lack Slogan ideas? Get help from free tagline makers! 3. Preview and Download Your Logo. When logo design is completed, you will like to preview it before downloading the graphic design. 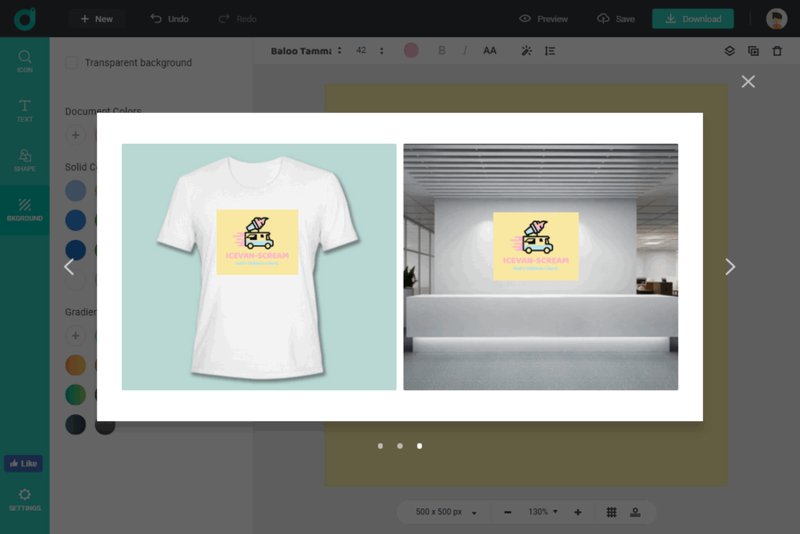 It happens that DesignEvo has a [Preview] support that will render you 6 scenarios of how your logo will look. In case you want to know these previews, we will list them all here: Business card, document header, notebook cover, T-shirt and presentation wall. It’s nice to have the preview views before actually downloading it. Save both time and money. Regarding downloading the logo design, DesignEvo logo maker offers 3 packages for choice. Best of best, there is a [Free] option, which will give us the smallest logo in a pixel of 500 * 500 or in a smaller size. The [Free] option doesn’t require us to register or login in some account. Therefore, designing and downloading a free logo can take no more than 1 min, which is very exciting. While you may not be satisfied with the free option, and then, you will have the BASIC package or PLUS package to get a really high-resolution logo image and a vectorized logo file (in both SVG and PDF) respectively. Just note that only PLUS package will ensure you with logo design using copyright. Whether you have some designing experience or have zero, DesignEvo logo maker can render you a logo at a faster speed. It prepares a lot for logo design, thus it’s an effective time saver.